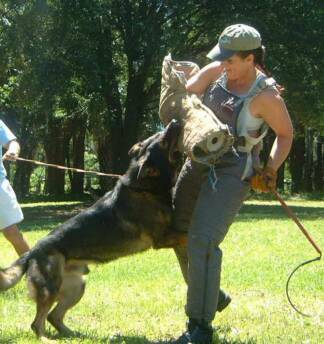 Avatar K-9 Training offers Personal Protection Training. 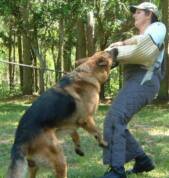 We can train your dog to protect you and your family if he/she is of suitable temperament. These dogs are great family dogs which are specially trained to react to situations where you or your family are in physical danger. They can deter situations from actually starting just with their presence. These ARE NOT vicious uncontrollable dogs! These are highly trained family companions. 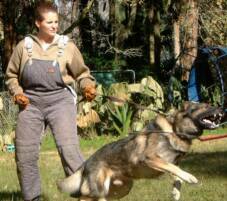 If you are considering this type of training for your dog, they must have obedience training before beginning protection training. You do not have to have your training from us, but must be able to demonstrate adequate proficiency in it. 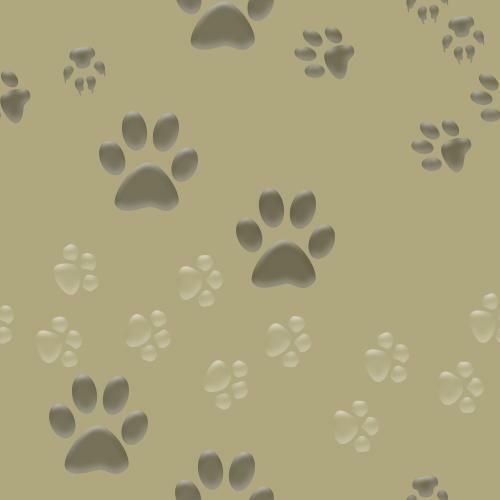 We also must test your dog to determine if they are of a suitable temperament to do Protection work. If you feel the need for specialized protection for your family, please contact us for an appointment. We offer two levels of Protection Training. The first level is called Alert Training. 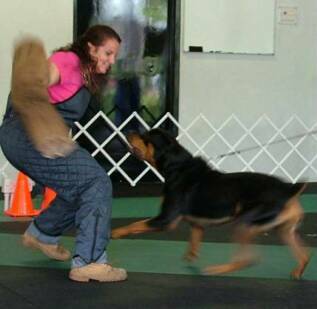 In this basic level of protection work the dog is trained to bring out their natural defensive behaviors. This is for the owner who is not comfortable with the full Protection Training where the dog bites the perpetrator. 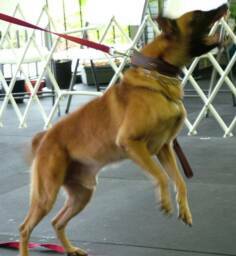 In this training the dog is taught to show it's full defense through aggressive barking and body language. This package is $1,500. The next level is the Protection Training with a bite. 1. Recognize a potential threat. 2. React to an actual threat by barking. 3. On command of the owner, advance and bite the perpetrator. 4. On command of the owner, release the bite. For training beyond the basic package, packages will be tailored to suit your specialized needs. 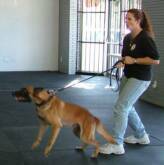 We also offer hourly rate training for the dog that is already trained, but the owner would like some reinforcement of the current skills of the dog. The hourly rate is $150 per hour.